A city of 20 million people which comprises of many districts and within lies distinct neighborhoods. CONSTANTLY REINVENTING. NEW GLOBAL FRONTIER. FAST ECONOMY & NEW OPPORTUNITIES. Hotel transportation: Taxis, airport buses, hotel shuttles, subway. 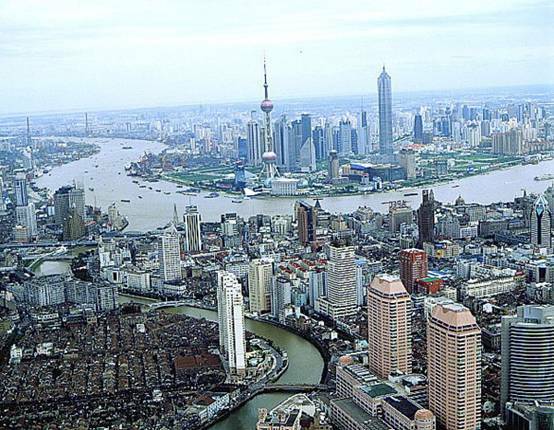 Pearl Tower in Pudong District is the center of the city. If you are looking for fun, excitement, shopping, amazing eats and drinks, you'll need to across to the west side of the river to Bund Promenade in Puxi and head towards the downtown (Huanghi District). Before the communist uprise in the 1940's, Bund was the main financial district where foreign financial institutions from England, France, USA, Netherlands, Russia, and others also had powerful presence and influence. Today's architectural landscape very much tells the story of this colonial past. * Ferry services offered from Pudong to Bund Promenade. Great scenic view. 4. Shanghai Ling Long Hotel: 1 of the few remaining old Shanghai homes. Starts at $64 (includes breakfast). 7. New-Westlake Boutique Hotel - French Colonial building. Near Shaanxi Road (S) subway station. $87. 8. Astor House - Grand old hotel that's been around for decades. Einstein stayed here during his stay. 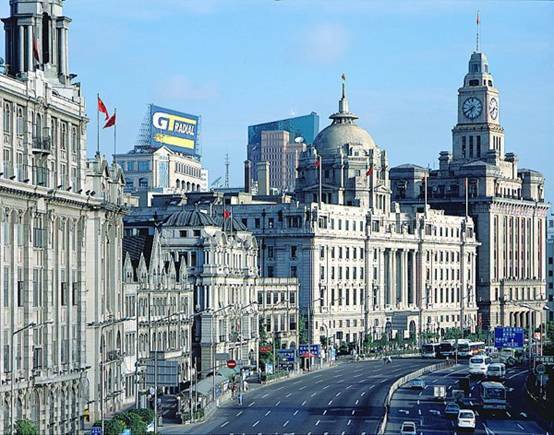 Located in Hongkou (Northeast), just North of Bund Promenade. $100.00. 10. Ruijin Hotel: In the heart of the French Concession neighborhood in Lu Wan District. Starts at $125. 11. Quintet-Shanghai French concession. Starting at 800RMB ($122). 12. Mason Hotel: Great rooftop restaurant. Starts at $128. 13. Yantze Hotel: Conviently located in downtown the Huangpu District. 17. 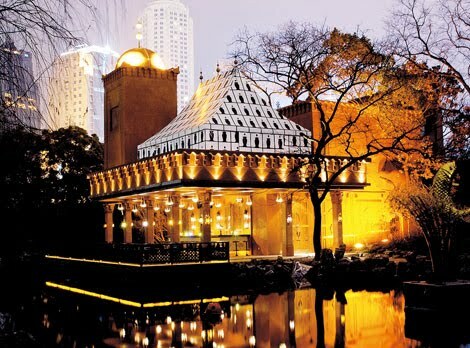 Taiyuan Villa: In Xuhui District(Southeast). Starts at $200. 21. Modena: Lofts. Long term stay available. 4. The Beaver $: Dive bar with a large collection of bottled beers. Attracts young crowd. 5. Barbaroosa $$: Great view and drinks. Located at People's Park - in the middle of a lake. 6. People's 7 Bar and Restaurant. : Minimal interior. Ask for the code word at the entrance. Food is a bit overpriced. 12. The Roof at Watehouse: On the Bund. Great night view of Pudong shore in the summer. 14. JZ Club : Ultimate Jazz bar. Get there early! 17. Zapata's Night Club: hosts theme nights like salsa dancing, etc. 2. Nan xiang Mantou Dian: Best dumplings. Expect a long wait. 3. 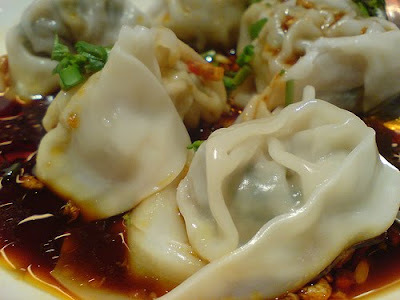 Xiao Yang Sheng Jian aka Yang's Fry Dumplings: Quyang Road, Hongku. 4. Crystal Jade: Dumplings with broath, hand pulled noodles, and Dim sum. * 2 locations: Inside of Jing An Shopping Mall and on Fumin Lu about 12 min walk from Changshu Lu Metro Station. 9. Zao Zi Shu " Jejube Tree": Chinese style vegetarian. * Inside of Shanghai Huanggong Complex on the 1st floor near Huangpi Nan Lu Metro Station in Lu Wan District. 12. Great way to sample a variety of food is to head to the basement of major department stores' food courts. 18. Ji Shi (Old Jesse): Authentic Shanghainese food. 19. Stiller's: A modern European fine-dining by Michelin-starred Stefan Stiller. 22. Table No. 1: Upscale European affair. Inside of Waterhouse Boutique Hotel at South Bund.